A list of the biggest, most epic Fox News FAILs of the past year. While even Fox admits that most of their shows are not actually "news", viewers still expect them to get their facts straight. Unfortunately for the network (and the IQs of those who watch), this does not always happen. From announcing the death of President Barack Obama to calling pepper spray "food," Fox has committed more than its fair share of blunders in the year 2011. Some are amusing, others downright frightening. Here are the past year's biggest FAILs of America's most popular "news" network. 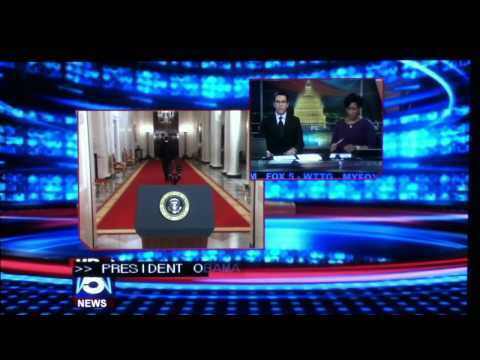 What the top 10 Fox News FAILs of 2011? Take a look here and see for yourself. Perhaps the biggest Fox FAIL of all is not any particular botched story or silly blooper, but the fact that the network is actually making America more ignorant. A 2011 poll conducted by Fairleigh Dickinson University demonstrated that Fox viewers were more ignorant about current events in the Middle East than the rest of the population. They were less likely to know that the Egyptian government was overthrown, and that the Syrian government was not, among other issues. Sadly, this is not the first study to reveal the dumbing-down of Fox watchers. Another from the University of Maryland also found viewers of the channel to be more confused about political facts. On May 1, 2011, overzealous (and wishfully thinking?) 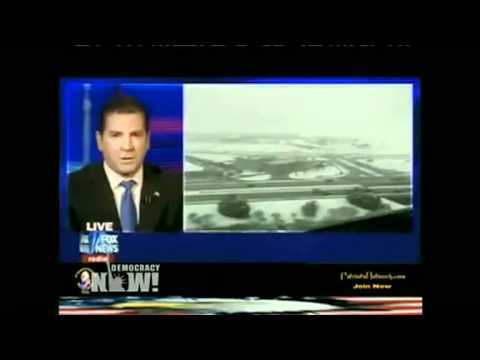 Fox news reporter Will Thomas in Washington DC erroneously proclaimed that President Barack Obama had died -- when it was really Osama bin Laden who had died. Obama, Osama, similar enough, that'd understandable in what was probably a stressful news day, but to go ahead and say the full name Barack Obama is a little much. The snafu occurred just following the U.S action against the terrorist leader in Pakistan. Thomas was summarizing the president's announcement of the events when the reporter inadvertently claimed that Obama was proclaiming his own demise. Thomas quickly caught and retracted his error, but the name-switch had already caught the attention of viewers around the nation. Hard to say if the mix-up had anything to do with the network's political views or not, but mistaking our nation's leader for the head of Al-Qaeda is a FAIL of epic proportions. As if that were not enough, Fox host Geraldo Rivera made the same mistake on a different show, announcing Obama's death and then quickly catching himself. Worst attempts at subliminal messaging ever. When Bill O'Reilly recently spoke with David Silverman, the man who calls himself the President of American Atheists, he made one of the biggest gaffes he's ever spoken, and it caused so much ridicule that an entire internet meme came out of it. O'Reilly: "I'll tell you why [religion is] not a scam, in my opinion," he told Silverman. "Tide goes in, tide goes out. Never a miscommunication. 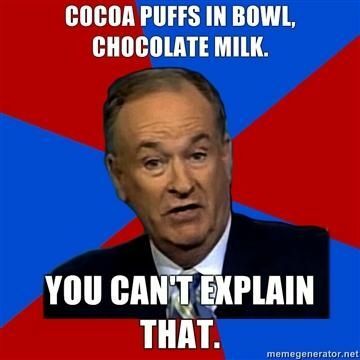 You can't explain that. You can't explain why the tide goes in." Putting hundreds (thousands?) of years of work from astronomers, oceanographers, and scientists to shame, O'Reilly throws his insight into the mix, claiming the existence of God to be proven through the inexplicable nature of the tides of the ocean. During this interview with Dave Silverman, head of the American Atheist group, O'Reilly managed to simplify the existence of God by surmising, "tide goes in, tide goes out, never a miscommunication" in a calm, Zen-master like fashion; strengthening the credibility of his argument by shedding light on Silverman's inability to explain this remarkable phenomenon that everyone learned in grade school along with the concept of "gravity." So then, the internet got in on the joke and did something similar to what they did to Megan Kelly in the meme. Made him make logically similar arguments about much more inane facts. In a case of Big Bad Media Corporation vs. Cute and Harmless Cartoon Character, the honchos at Fox appeared a touch foolish when they decided to take on a little yellow sponge who lives in a pineapple under the sea. 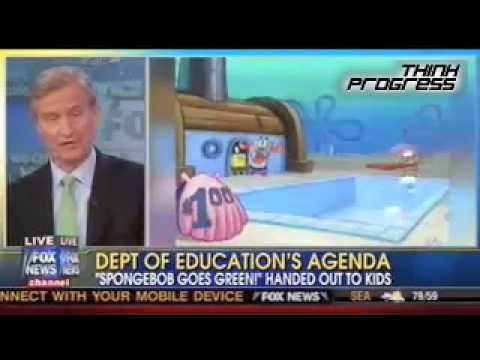 Blasting Spongebob Squarepants for pushing the "global warming agenda" on behalf of the Nickelodeon network, the hosts also denounced the Department of Education for handing out the Spongebob Goes Green! book to kids. According to the anchors, when Spongebob addresses climate change he is only "looking at it from one point of view." The hosts go on to shred poor Spongebob, wondering why children find him appealing and calling his show "hard to follow." Well... maybe for them. For an entire list of conservatives over-reacting to kids shows (yes, there's enough for an entire list), go here.